Described as knowledgeable, conscientious, easygoing and reassuring, Dr. Bruyere knows his patients, their families, and what's important to them. 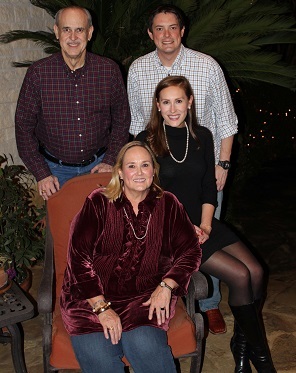 Dr. Bruyere has been named by his peers to the Super Dentists list in the state of Texas for the years 2010, 2011, 2012, 2013, 2014, 2015, 2016, 2017 and 2018. Super Dentists identifies top dentists utilizing the independent research of Key Professional Media. They utilize a thorough, stepwise process that combines peer nomination, peer evaluation by practice area, and independent research and examination. Health care consumers can use the resulting list of the best and brightest in their field as a resource to find a dentist or to learn more about their current dentist. Each year Key Professional Media sends out thousands of ballots to dentists asking them to nominate colleagues they know to be exceptional in their specified field. Dentists are asked to consider the following question: "If you needed care in one of the following specialties, which dentist would you choose?" Numerous safeguards are in place to prevent ballot manipulation, and dentists may not self-nominate. Key Media's research staff also contributes to the pool of candidates by searching medical databases, online sources, and publications for dentists who have attained certain credentials, honors or professional achievements-what they term "Star Search Credentials". Nominees are then grouped into specialties. Dentists in each area, who have the highest scores from the nomination and evaluation steps, are invited to serve on a "blue ribbon panel." Each panelist is asked to review and evaluate a list of nominees from his/her area of focus. The last step is to total the points received from nominations, research, and blue ribbon panel review. Only the highest scoring doctors are included on the Super Dentists list. The Super Dentists list is limited to 10% of the dentists within the respective state or region.Texas Super Dentists is published in a special advertising section in the November issue of Texas Monthly magazine. 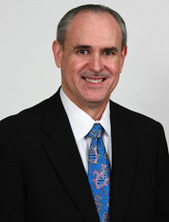 In addition to a driving commitment to dentistry, Dr. Bruyere is a dedicated family man. He has been married to Jamye since 1978. They have two wonderful children – son Bo, and daughter Julianna (she is the Million Dollar Smile you see at the top of this page!). 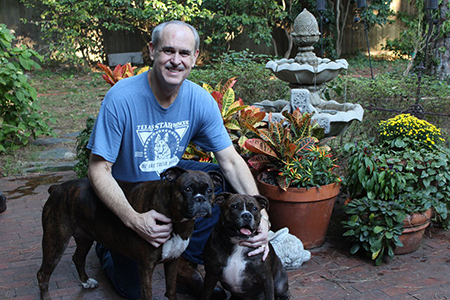 The Doctor also adores his grand-puppies, Abby and Darla. 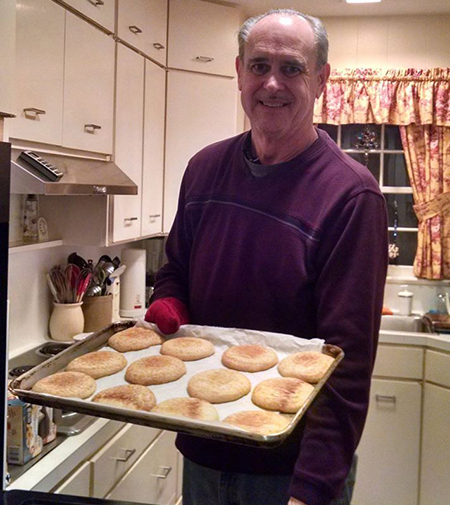 When he is not wearing a lab coat and mask, you are likely to find Dr. Bruyere in an apron! 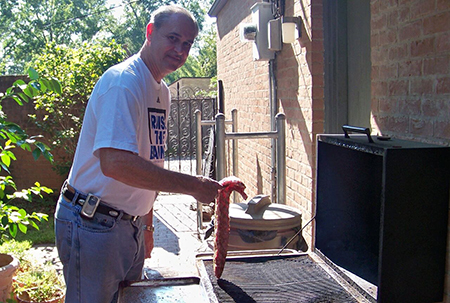 He loves to cook, grill, and bake, and whips up dinner most nights. The Doctor has favorite recipes, but especially enjoys coming up with his own tasty creations. Dr. Bruyere discovered early that one of his hobbies was beneficial to patients. From the time the practice opened its doors, the salt-water aquarium has been a favorite feature. Caring for it calms the Doctor, and patients find its beauty to be quite soothing. Solve the mystery of our aquarium! Dr. Bruyere takes a moment to show off the aquarium in our waiting room. Find out the reasons we have this soothing and beautiful addition to our office. We are a patient-centered practice and this is just one of the many touches we have that shows it. Video Transcript ◀ Hi I’m Dr. Clint Bruyere. A lot of patients ask us about our aquarium in our office and I wanted to let you know why we have it. A lot of people when they come into a medical and dental office will be a little bit anxious and have an increase in blood pressure, and studies have shown that having an aquarium like this will actually lower people’s anxiety and blood pressure. This is a salt water aquarium. It has multiple different types of soft coral in here, 3 clown fish, a yellow tang, a yellow tailed blue tang, a yellow goby, and a 6-line wrasse. Along with the different types of soft corals and living rock in there. It really does seem to help to calm people down. If you have any questions please call our office. As always, yours in good dental health. "Dr. Buryere is a nice and pleasant person he cares about people and there teeth. I started using him in 2013 when I had some serious teeth problems. Dr Buyere said he could fix my teeth and they will be better. Well I can tell you today that my teeth are better. I will really like the way he cares and knows is patients. Thanks Dr. Bruyere for taking care of my teeth."